Decades ago, I recall shooting Air Force resolution targets in a basement to check for lens sharpness. Little did I realize just how error-prone such efforts were, with issues like film flatness and thickness, shutter vibration, calibration errors of the camera, etc. Today’s perfectly flat sensors and tiny photosites are even more unforgiving. And even with perfect focus, optical behaviors can result in out-of-focus results. This is part 1. It covers the challenges in obtaining peak sharpness, revolving primarily around focus. Part 2 provides specific tips and techniques for focusing challenges. Zeiss DSLR lenses for Canon and Nikon are manual focus. Since the #1 issue in getting peak lens performance is accurate placement of the zone of sharp focus, manual focusing technique is critical, along with understanding lens behavior that can affect focus. “The corners [or mid zones] are soft”. “My images are not quite sharp even at f/5.6, so it must be the lens”. “I stopped down to f/16 and even then the lens is soft”. “I focused at infinity but it’s not sharp, so the lens is the problem”. “My quick test shows that Brand X is sharper than Brand Y”, or, “my quick test shows that Lens A is sharper than Lens B”. This next video discusses lens performance in general, in order to provide context for the overall article. Focus is not the only issue, but focus is the key variable over which the photographer has control. 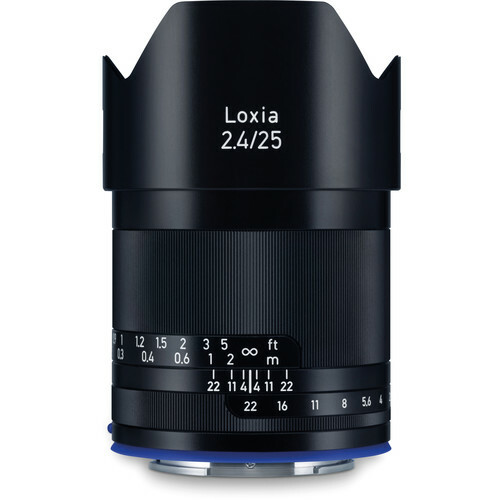 The rest of this article speaks primarily to focus with Zeiss manual-focus lenses. Even high-end DSLR optical viewfinders are challenging for manual focusing accuracy. For starters, the focusing screens are ill-suited for manual focus and generally are no better with an f/1.4 or f/2 lens than an f/2.8 lens. In APS-C DSLRs, the “porthole” viewfinders make manual focusing extremely difficult. The smaller the sensor pixels, the more dramatic the sharpness loss caused by a focus error. A 50-megapixel sensor is less forgiving than a 24 megapixel sensor. The tiny photosites of a 24-megapixel APS-C sensor are less forgiving even than a 50MP full-frame sensor. Stopping down as much as 3 or 4 stops may be needed to compensate for relatively small focus errors, and even then the zone of sharp focus may be biased too far forward or back in a way that alters the visual impact. Fast lenses (f/1.4 and f/2) and lenses of medium and longer focal length are unforgiving of tiny focus errors at wider apertures. The better the lens performance, the more visible the error. Making crisp images with Zeiss manual-focus lenses requires spot-on focusing, but achieving precise focus is more nuanced than it might seem. The challenges discussed here in Part 1 set the stage for the Tips that follow in Part 2. Alignment: there are two light paths and two sensors in a DSLR: the light path straight to the imaging sensor, and the twist and turns of the light path to the focusing sensor along the path to the optical viewfinder. If the two light paths are not exactly the same distance (more than 0.02 mm is a significant error), then focus will be skewed even if the user has perfect vision and focuses the image perfectly (as perceived). The camera manufacturer may be able to adjust the camera to fix such alignment issues. Focusing screen: even with a perfectly adjusted viewfinder, the surface structure of modern focusing screens makes it difficult for the eye to distinguish between in-focus and out-of-focus, particularly off-center. In effect, the focusing screen doesn’t allow focus discrimination much better than f/2.8, so f/1.4 and f/2 lenses tend to be hit and miss for focus. Also, f/1.4 and f/2 lenses are generally not much brighter than f/2.8 lenses with these modern screens. The traditional split image and microprism focusing aids have disappeared from Canon and Nikon DSLRs. There may also be markings that overlay the screen and obstruct the view for manual focus, though some camera models have options to hide these markings. Vision: the visual acuity of the photographer’s eye is another issue. I (Lloyd) have astigmatism in my right eye that makes it not good for focusing, so my left eye must be used for focusing. Fatigued eyes, dim light, eyeglasses, smudged viewfinder, or the diopter adjustment being off just a tad all degrade the ability to focus accurately and consistently over a range of conditions. The bottom line is that it is awfully hard to focus a lens manually through the OVF to the precision required for peak lens performance, let alone do so consistently with a variety of subjects in varied lighting. As shown below, all three attempts to focus by eye under ideal target and lighting conditions through the Nikon D810 optical viewfinder resulted in unacceptable focus. Many DSLRs have a focus assist mechanism: a dot lights up when the camera determines that the image is in focus. There may also be directional indicators (Nikon). The focus assist feature is based on the autofocus sensor, which can have accuracy and precision issues: a common focusing frustration with autofocus is frontfocus (too close) or backfocus (too far). Frontfocus or backfocus thus apply to manual focus lenses when using focus assist. A manual-focus lens focused with camera focus assist is subject to similar frontfocus or backfocus issues as an autofocus lens. Whether auto or manual focus, focus shift can be present, further confusing matters (covered further on). Focus assist has other challenges such as a limited number of sensor positions in fixed positions (some of which are less accurate than others). Sometimes there can even be a mismatch between the apparent and actual focus sensor position (very confusing). And once focused, recomposing shifts the plane of focus. Below, a situation in which focusing is as easy at it gets: an ultra high performance lens on a high contrast brightly-lit flat target. The Nikon D810 focus assist (“green dot”) feature was used. Four variants are shown at f/1.4: (1) Optimal focus using Live View, (2) focusing near to far, (3) focusing far to near, (4) guesstimate focusing within the in-focus range indicated by focus assist. None of the focus assist results seen below are optimal, though the guesstimate in-between result is close (blind squirrels do find acorns sometimes). Under real world field conditions results are likely to be much more variable (lower contrast, more ambiguous target, dim lighting, etc). A camera’s focus assist feature delivers variable results and is not viable for consistently critically sharp images. It can be even trickier: the focus assist feature depends on the autofocus system, which on a DSLR typically “sees” only light rays corresponding to stopped-down rays (something like f/5.6 for Canon DSLRs). 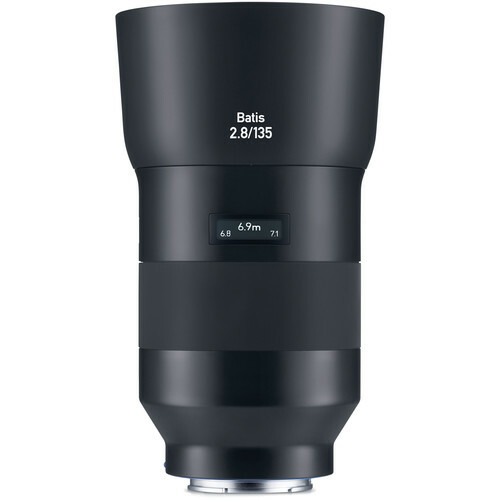 This is a big deal for lenses with spherical aberration and focus shift. 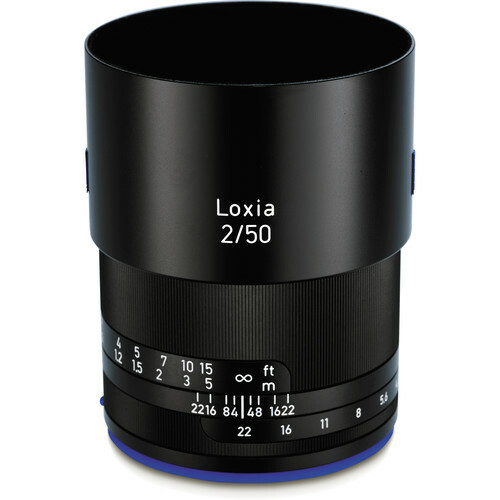 For a lens with focus shift, the AF system thus indicates focus way off the mark for wider apertures. Below, the Canon EOS 1Ds Mark III delivers a badly blurred image for the Zeiss 85mm f/1.4 Planar (which has significant focus shift caused by spherical aberration). The camera autofocus system “sees” rays that are optimal for ~f/5.6, but the exposure is at f/1.4. The results with Focus Assist are mush, but with the lens set to the infinity focus, fine details are captured. 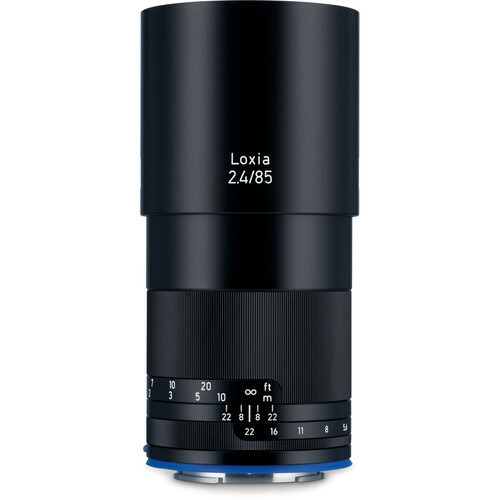 Zeiss sets the infinity focus mark precisely, but cameras can vary slightly in flange-to-sensor distance (even 0.02mm is significant for a high-res sensor). Relying on the infinity focus mark or hard-stop for infinity focus is unwise, so it’s important to confirm whether a particular lens + camera body combination is accurate at the infinity mark—compare to a reference frame obtained using magnified Live View focus. The camera variability point was driven home to me using a Zeiss wide angle lens a few years ago. Two Canon 5D Mark II camera bodies were used, with the Zeiss lens racked to its mechanical infinity stop. At f/2, one image was sharp but the other was slightly blurred. Why? The flange to sensor distance was slightly different for each camera. Thus the camera body is itself a variable that makes the infinity focus mark unreliable. 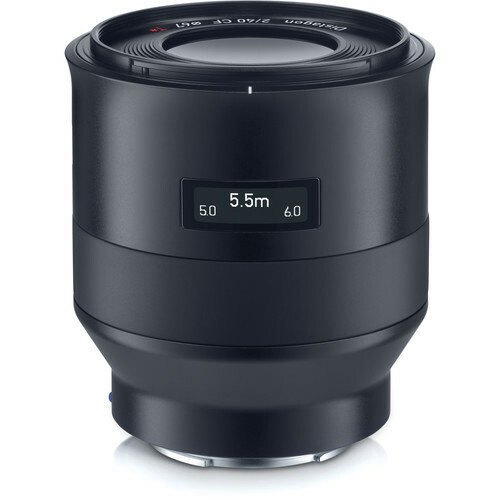 With some lenses with special glass types, infinity focus changes slightly with temperature so that there exists no fixed infinity focus, no hard-stop, as seen with the Zeiss 85mm f/1.4 APO-Planar focusing ring shown focused “past infinity”. With most lenses, optimal focus distance varies across the frame. This is known as curvature of field (“field curvature”), and it is present to a varying degree in nearly all lenses. Field curvature should not be confused with optical distortion, which warps shapes and curves straight lines. In general, f/1.4 lenses and wide angle lenses have the most field curvature; it is one of many optical tradeoffs. A lens with strictly controlled field curvature is termed a “flat field” lens, the Zeiss 100mm f/2 Makro-Planar being an outstanding example. Field curvature is the rule not the exception, and it’s why lens comparisons can be so misleading: two lenses with differing field curvature intersect a subject to advantage or disadvantage, depending on how the curved zone of focus intersects the particular subject matter. In a lens with significant field curvature, there exists no perfect focus for the frame in its entirety, only a best overall focus in some average sense. But when a key element needs to be in critically sharp focus, the choice is simple: focus on that element and whatever else happens, happens. When field curvature is present, then when focus is made at center it is slightly out of focus for other areas of the frame (and vice versa). For example, ideal focus for the center might be at 2m, but focus might best at 1.95m in the mid-zones, 2.05m at the edges and 2.2m in the corners—it varies across the frame. This is why shooting a brick wall or similar planar subject in order to test a lens has limited value in understanding lens performance: sharpness may be extremely high across the frame but with some deviation outside the nominal plane of focus—so within the plane of the flat test surface, detail goes soft and thus misleads as to imaging potential for most subject (things other than that brick wall!). Typically field curvature arcs forward, but sometimes it is balanced as a “wave”, arcing forward in the mid zones and inflecting rearward toward the edges/corners. Stopping down is the only real mitigation for field curvature—more depth of field. For a distant landscape scene, it is not uncommon for f/8 to be required for peak sharpness across the frame on a high-res DSLR. 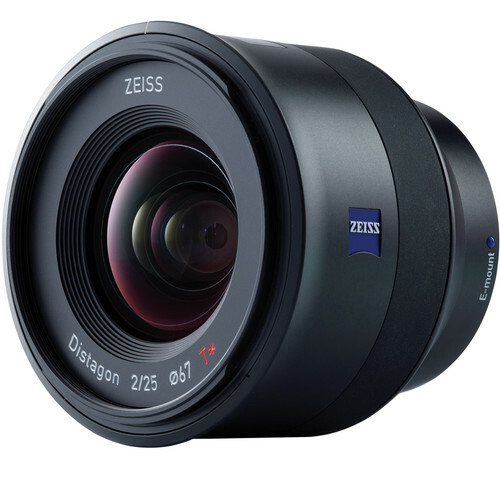 Shown below, the Zeiss ZF 28mm f/2 Distagon has a field curvature that arcs roughly in the shape of the white line. Accounting for this behavior in the choice of focus can help optimize total image sharpness. Field curvature can be seen in the two images below. The rearward arc of field curvature can be seen cutting through the sand. The arc roughly follows the white stripe in the pavement image. 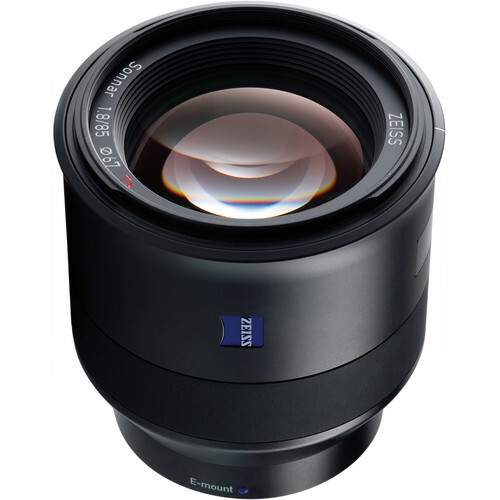 Most of the Zeiss DSLR lens line has little or no focus shift, but the classic lens designs like the Zeiss 50/1.4 Planar and Zeiss 85/1.4 Planar have spherical aberration and hence significant focus shift (the high performance Milvus 50/1.4 and 85/1.4 designs eliminate focus shift as a concern). The cause of focus shift is spherical aberration. 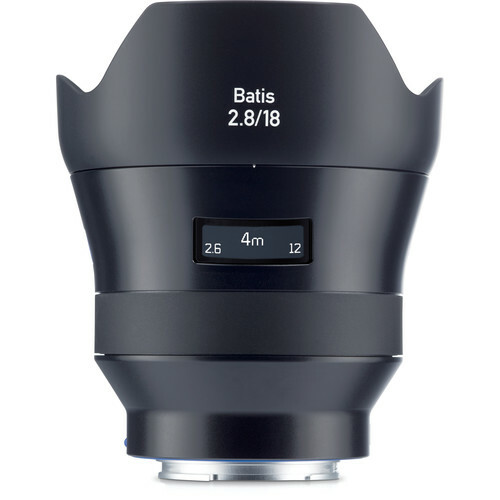 With some wide angle lenses focus shift may be introduced as a “balancing” design tradeoff (using one aberration to balance another), particularly in the outer areas of the frame; the Zeiss Otus 28mm f/1.4 Distagon applies this principle in the outer zones. Focus shift can go either direction, and can sometimes be in opposite directions depending on the area of the frame—a tradeoff in the lens optical design. In the center of the frame focus shift is usually rearward (more distant focus). In the outer areas focus usually shifts closer, particularly with wide angle lenses. Shown below are examples with the Zeiss 50mm f/1.4 Planar at f/1.4 and f/5.6, obtained meticulously using a slider to alter camera position. The difference in optimal focus for f/1.4 vs f/5.6 amounts to a whopping 60mm (as marked on the ruler, shooting distance was about 130cm). The top row shows optimal focus for f/1.4, the bottom row shows optimal focus for f/5.6. View at full size to see the differences; they are substantial. Peak results for an f/5.6 exposure require significantly closer focus (at f/1.4) to account for the rearward focus shift stopped down. The 4-way grid below shows the results of focusing focusing wide open at f/1.4, versus focusing optimally for f/5.6. Observe the sharpness on the eyes with both, but also the zone of focus on the ruler (open the image separately to view at full size). Focus shift can be seen at work in this video using the Zeiss ZF.2 85mm f/1.4 Planar. Focus shift can be graphed with an MTF chart as shown below for the center of the frame. Observe that at f/4, peak MTF of 80% is seen, but it is well off the zero point (the point of focus, focused at f/1.4). At the point of focus, MTF is 60% instead of 80%, the difference between a world-class lens and a mediocre lens at f/4. Moreover the entire zone of focus is shifted rearward, which throws off the balance of the image (e.g., bitingly sharp ears but with slightly blurred eyes in a portrait). Combined with a slight user focusing error, the image may be unacceptable. One way to mask focus errors is to stop down, say to f/8 or f/11. However, a focus error also biases the entire zone of sharp focus too far forward or too far back, which has implications for visual impact (the juxtaposition of sharp vs unsharp diverts attention). Stopping down too far brings with it the phenomenon of diffraction, which begins to degrade contrast and image detail starting around f/5.6 - f/8 for modern high-res DSLRs. 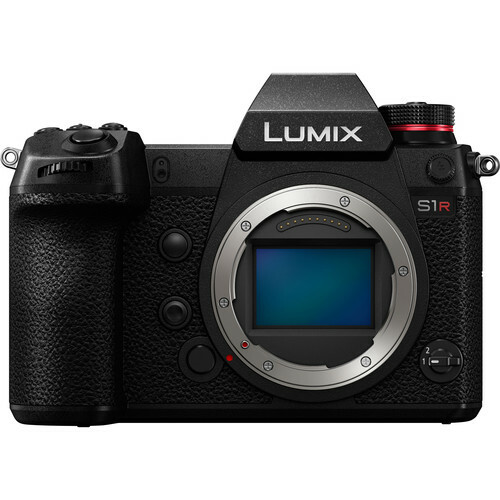 When DSLRs increase in resolution increases to 60 megapixels or more, those figures drop to f/4 - f/5.6. Practically speaking for camera resolution in 2016, use of f/11 degrades image sharpness mildly, f/16 degrades it strongly, f/22 is wantonly destructive, and f/32 is an unmitigated disaster. Shoot a series by aperture to see the effects, or see the Diffraction section in diglloyd Making Sharp Images as well as Mitigating Micro Contrast Losses from Diffraction Blur. Observe in the pair of images below how the f/22 image has very low contrast with fine detail seriously damaged, caused by diffraction. When stopping down, some lenses also degrade in contrast over and above diffraction effects, due to internal reflections. Hence stopping well down to overcome focus errors has serious implications for image quality. This video shows the effects of diffraction with stopping down, but due to limited resolution of the camera LCD, it is not an ideal demo. See the above still picture for the best sense of losses. In part 1, the challenges of making sharp images were covered, with focus accuracy the primary variable. Here in part 2, best practices for addressing those challenges are presented. Choosing where to focus can be harder than it sounds. In general, focus on what must be critically sharp, letting everything else fall into place. In scenes with pronounced near-to-far detail, some range of the scene is not going to be fully sharp, even at f/13 or so. Thus the choice of what to focus on depends on what is most important. The contextual elements usually need not be fully sharp; what matters is critically sharp focus on the key elements. Also, leaving some foreground and background separation via some level of blur offers a pleasing juxtaposition of sharp/unsharp, and some unsharp areas can make the sharp areas look even sharper by comparison. The classic “1/3 into the scene and stop down” rule is marginal. While it works well in some average sense, it is often non-optimal in either depth of field or visual impact. Moreover, field curvature can be a significant factor particularly for near-infinity focus. It is usually better to bias focus at or close to the elements of the scene that need to be critically sharp: a blurred horizon is rarely pleasing if it is a strong part of the composition. As an obvious example of placing focus on what matters most, consider a portrait with trees in the background: the person’s eyes should be critically sharp; the ears and the trees don’t matter much. Which brings us back to focus accuracy as a critical factor. One “solution” is stopping down for depth of field (a deeper zone of sharpness). But this has serious limits: conventional depth of field tables use a 30 micron dot size (circle of confusion), which is about 37X larger in area than a pixel on a 36-megapixel full-frame DSLR! As a rule of thumb for very fine detail on a high-res DSLR, figure three (3) stops less leeway than a DoF table suggests. For example, if the DoF table claims that f/4 yields the desired DoF, then f/11 is the actual aperture for very fine details over that range—but beware diffraction from stopping down too far (as previously shown). Also, depth of field tables are a theoretical best, and often wildly overestimate real lens behavior. For example, with many wide angle lenses, minimal depth of field gains are seen for the first two or even three apertures, with various aberrations keeping actual depth of field far less than the theoretical, particularly in outer areas of the frame. Live View (discussed further on) is a far more reliable approach than the optical viewfinder, but if the optical viewfinder must be be used, the tips in the video and below raise the odds for accurate focus. Tip #1: set the diopter adjustment on the viewfinder to correct for any minor acuity issues. This is very important, if only to avoid eye fatigue. To adjust, enable any available display items for your camera such as superimposed gridlines. Defocus the lens for a strongly blurred image, then adjust the diopter setting until the gridlines or similar markings on the focusing screen are crisp and clear. If necessary, tape down the diopter adjustment so it won’t move. Tip #2: test yourself to set expectations: shoot ten identical frames wide open, refocusing for each frame (f/1.4 or f/2 lenses will be most revealing). Use a tripod to eliminate body movement as a factor. Shoot one reference frame focused using magnified Live View. Check the focus results in the resulting images. Try this both by eye and also using the camera Focus Assist feature. Tip #3: focus bracket: take several shots, refocusing each time. Alternately, focus and shoot, then using the distance scale on the lens shoot two more frames, one closer and one farther, using the distance scale (using very small adjustments). One of these shots may be optimal. All this is avoided by using Live View, so use Live View when feasible. Tip #4: use an eyepiece magnifier. Sometimes the focusing eye needs a little help. For full-frame Nikon, the Nikon 1.2X DK-17M Magnifying Eyepiece is excellent, and retains full view of the frame. Nikon APS-C cameras accept the 1.17X DK-21M magnifying eyepiece. Canon magnifying eyepieces seem to be only for APS-C models. Tip #5: test for and adjust the Focus Assist feature with each manual focus lens. Focus from near to far distance for consistent behavior. Test the consistency and accuracy by refocusing for 10 frames or more, on several different subjects. If there is a consistent error in one direction (too close or too far), adjust the AF Fine Tune feature as found in current Canon and Nikon DSLRs. However, if a lens has focus shift, the adjustment can be optimized for one aperture only. Tip #6: stop down slightly. It may be helpful to focus with the lens slightly stopped down by holding the depth of field preview button down while focusing. This is awkward, but it can improve crispness of the image for some lenses and make it easier to focus (as well as partially address focus shift). Try f/2 or f/2.8 for f/1.4 lenses. Tip #7: swap the focusing screen for one better suited for manual focus, even if the camera vendor offers no options; see for example FocusingScreen.com. 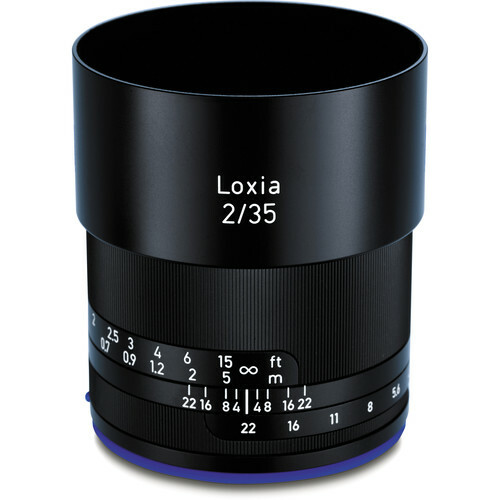 However, the replacement focusing screen might not appeal for general use (with autofocus lenses or having a split image or microprism obstruct the view). More problematic: unless the tolerances are perfect, the camera may also require adjustment (shimming) to make the light path distance match the distance to the sensor. Live View is best used on a tripod, but it is also feasible handheld (see video). A focusing loupe is all but essential, such as the Zacuto Z-Finder (highly recommended for stills or video). A loupe is invaluable for perceiving fine details, cutting glare on the rear LCD, and blocking sidelight from the eye itself. The Live View image is from the imaging sensor, so there is no “dual path” discrepancy between the focusing sensor and the imaging sensor. Focusing can be at zoomed-in magnification for precise focus on a very small portion of the subject. This allows focusing on a very specific area, such as the stamen inside a flower, a particular small object among others, a leading or interior branch of a tree, etc. Focusing can be anywhere in the frame. Even field curvature can be dealt with by scrolling across the frame to assess the “balance” of sharpness. Depth of field can be checked as well. Focusing can be done at a suitable aperture, thus dealing directly with focus shift. Infinity focus can be determined precisely regardless of the lens or temperature or camera body, critical for astrophotography and similar applications. Using Live View for tripod-based shooting is a given, but handheld use of Live View with a focusing loupe works well for pinpoint focus accuracy, as well as offering excellent shooting stability. And because the mirror is already up, there is no mirror slap vibration. Many shooting situations afford ample time to focus and expose in Live View. Prefer magnified view for maximum accuracy—something around 10X or 12.5X—1 or 2 steps off maximum magnification is most useful in most cases. Especially for aging eyes (presbyopia), a high quality focusing loupe is essential for discerning fine detail. It also excludes stray light and improves contrast for easy focusing. Manual or Aperture priority are desirable, since controlling the aperture is a key consideration for focusing. With some cameras the JPEG settings affect the Live View rendering. Using more sharpening and contrast can be helpful for a more clear image in Live View. Some cameras have an option to auto-adjust brightness or to show the exposure as set on the camera. With many DSLRs, a button can be programmed that goes directly to some chosen level of magnification. For lenses with focus shift, focus at the shooting aperture (see details that follow). Some cameras have a focus peaking function that may be useful at times. However, too-eager focus peaking can sometimes obscure fine detail necessary for precision focus. Nikon’s approach to Live View is not consistent across the model line; with the Nikon D810 and most other full-frame models, the camera stops the lens down to the shooting aperture. For example, if the camera is set to f/8, then Live View is at f/8 (see video). Tip: on the Nikon D810, the of field preview button (“Pv”) at camera front toggles between the shooting aperture and wide open (no need to hold down the button), useful for lenses that are best focused wide open (and when lighting conditions are not too bright). Set the aperture to the best focusing aperture* (usually wide open). Focus in magnified view using a high-quality focusing loupe. Set the lens to the desired shooting aperture, expose the image***. With other Nikon models (Nikon APS-C DSLRs, certain others), the camera keeps the lens diaphragm fully open, similar to what Canon does. Focusing at a stopped-down aperture with these models thus requires holding down the depth of field preview button. * Best focusing aperture for a high performance lens is wide open or one stop down, which assumes a freedom from focus shift. If focus shift is present, focus at the shooting aperture, up to f/4, as discussed. ** For tripod use, use the self timer or remote release to avoid disturbing the camera. Canon DSLRs generally maintain the lens diaphragm wide open in Live View, but may unpredictably stop down the lens to an arbitrary aperture when the light is too bright (usually only an issue with f/1.4 or f/2 lenses). Focusing at a known aperture can thus require holding down the depth of field preview button, to force the lens to that aperture. Focus* in magnified view using a high-quality focusing loupe. * If focus shift is present, focus at the shooting aperture, up to f/4, as discussed. This may require holding down the depth of field preview button to force a particular aperture. If focus is obtained with the lens stopped down to the shooting aperture, there can be no discrepancy, since focusing and shooting aperture are the same. Stopping down past f/4 can be too dark and grainy in dim conditions such as dusk. The lens will have to be opened up to a wider aperture. Beyond f/4, increasing depth of field makes discerning peak focus for a specific area more difficult. The risk is that the zone of focus is biased too far forward or too far back instead of being centered around the chosen area. Focusing stopped down with some cameras can be awkward because the camera keeps the lens at full aperture unless the depth of field preview button is held down (applies to Canon DSLRs and certain Nikon models). With Nikon D810 Live View as shown in this video, the camera keeps the lens stopped down to the aperture set on the camera. Field curvature with Zeiss DSLR lenses is well controlled, but with high-res DSLRs everything helps. Understanding the field curvature characteristics of a lens along with relatively small focus tweaks appropriate for the arrangement of subject matter in an image can provide an “upgrade” in total image sharpness, even stopped down. For example, with a distant landscape shot, more distant focus at center works well for a wide angle lens whose field curvature arcs focus closer in the outer areas. 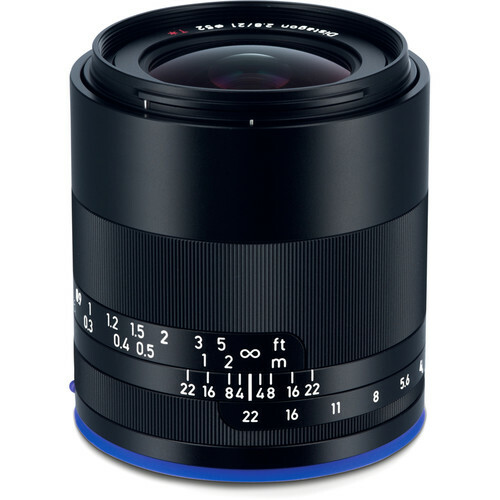 Examples include the Zeiss DSLR 18/3.5, 21/2.8 and 25/2 Distagons. Live View can reveal field curvature: scroll across the (magnified) frame to detect sharpness variations at the same distance, using a scene with uniform subject matter such as a grassy hillside or the wall of a building. Effects are relatively subtle however, so shooting the range of apertures from wide open to f/11 and then examining the series on the computer is often more instructive. Even forgetting field curvature, examining various areas of the frame in Live View can be helpful in seeing how focus “cuts” through the subject, which may lead to a slightly better choice of focus for items of interest in a particular scene. Field curvature can sometimes change with aperture in the outer areas of the frame via peripheral focus shift; the Zeiss Otus 28mm f/1.4 Distagon behaves this way in the outer zones, an optical design choice that comes from balancing aberrations. Gaining skill and experience with manual focus opens up a whole new set of optical choices, namely the large selection of Zeiss DSLR lenses for Nikon and Canon. That skill set also applies to manual focus with autofocus lenses, which may be necessary or even preferred in some shooting situations.